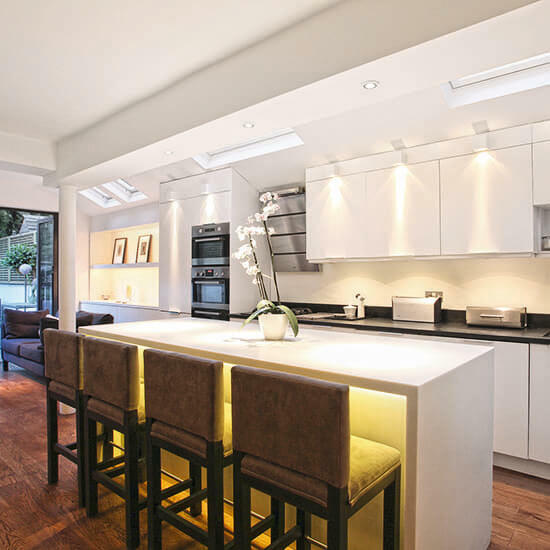 A good number of homeowners tend to over-look kitchen lighting when planning for a kitchen or remodelling an existing one. But what’s unknown to many is that kitchen lighting contributes largely in giving the kitchen a welcoming atmosphere and polished appearance. 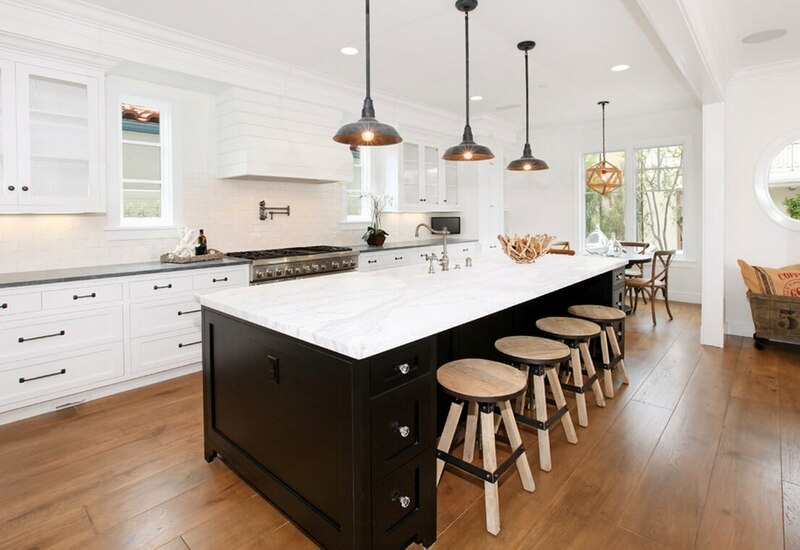 Proper kitchen lighting will emphasize the design features of your cabinetry, furnishings, flooring, walls, countertops amongst many other kitchen areas. Put simply, appropriate lighting in the kitchen can change the way your kitchen appears and also bring in a different feel and atmosphere. How much I’m I ready to spend? 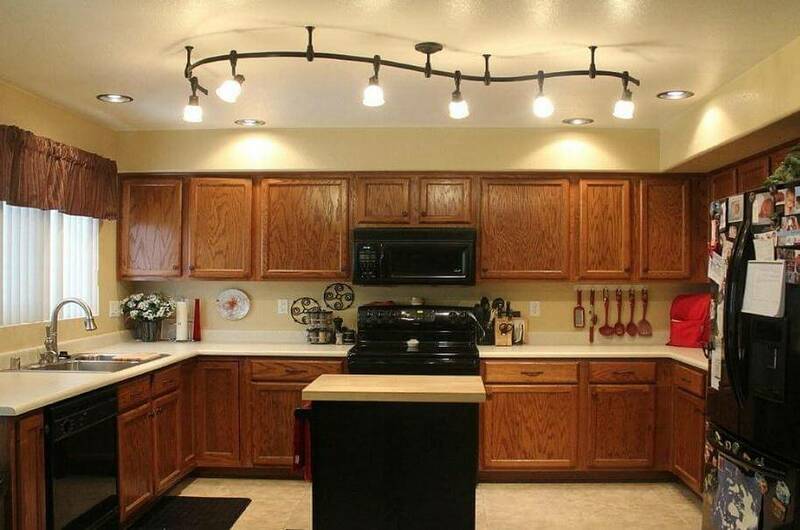 Do I have I kitchen lighting plan? What’s the size of my kitchen? Light fixtures come in different designs and styles and each carries a different price. 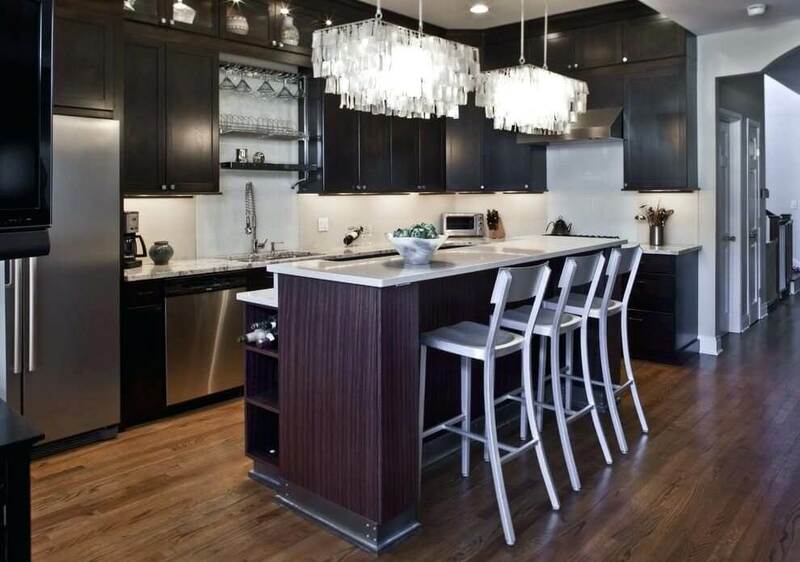 Your budget will, therefore, determine the type of light fixtures you will have in your kitchen. With a plan in place, it will be easier to identify lighting types that blend well with the decorative and architectural details of the room. 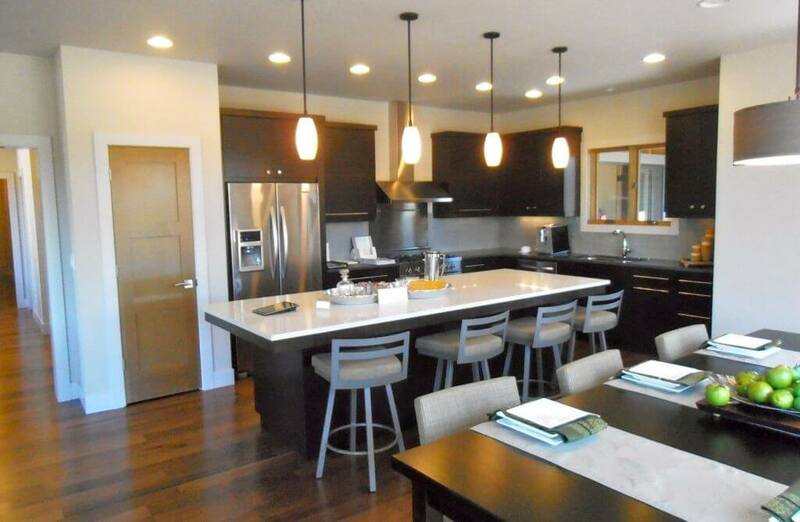 As for the size of the kitchen, this will be helpful in determining the amount of lighting needed in your kitchen and the specific areas where special lighting is needed. Given that you are going to have a broad range of options to choose from, you can get as daring and creative as you want in selecting what seems to suit well into your kitchen design and type. 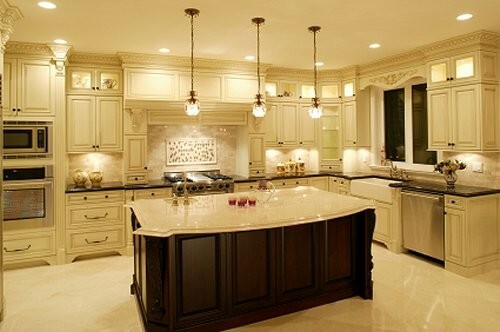 For consistency purposes, some people prefer to have similar lighting throughout their kitchen. However, you can mix the different types available to achieve your desired look. 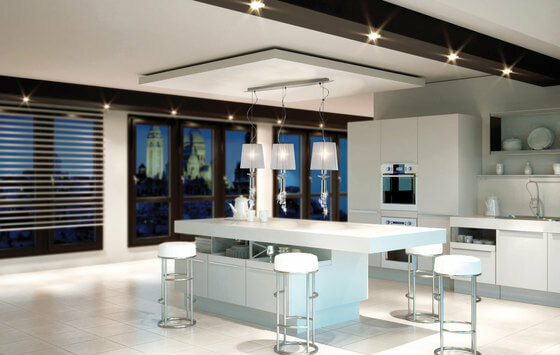 Task lighting aims to illuminate specific areas of your kitchen where you operate from most. Different areas of your kitchen work well with specific types of lighting so always choose the type that is functional for the different designated areas. For depth and dimension, this is the kind of lighting you should go for. 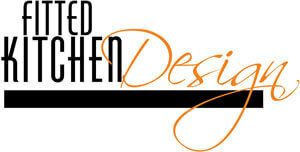 Its main task is to emphasize the decorative details of the elements you have in your kitchen. This includes stylish cutlery, fancy glassware, or even your well-prepared food. You can have them installed inside your cabinet. 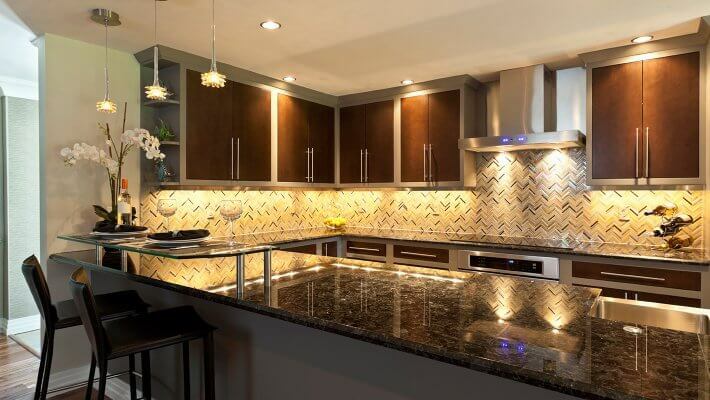 If you look to adding bold and special effects to your kitchen, this is your best option. Decorative lighting enhances the appearance of a room and can work with almost any illumination fixture. 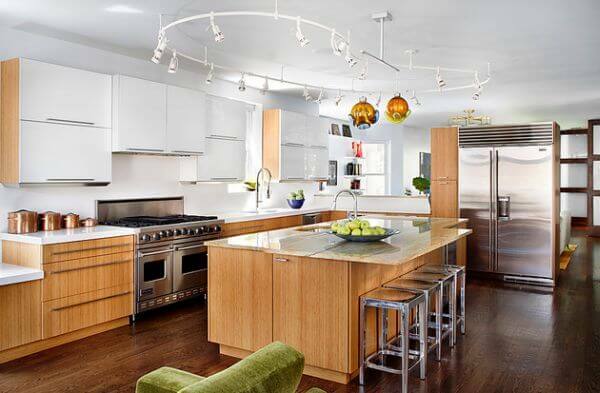 Every modern kitchen needs proper illumination and taking into consideration what we’ve mentioned will help you to come up with a great kitchen lighting design you will live to cherish. More information about the installation details and additional styles and designs available today can be obtained by consulting with a kitchen design professional.